AvaTrade is an online brokerage firm offering its customers access to forex and Contracts for Difference (CFD) trading in shares, bonds, indices, ETFs, commodities and cryptocurrencies. The firm also offers spread betting to residents of the United Kingdom and Ireland. CFDs allow traders to speculate on the price of assets without actually owning them in their accounts. AvaTrade customers have access to several customizable trading platforms. Traders can choose between the proprietary AvaTradeGo platform and the industry-leading MetaTrader4 (MT4) platform for manual trading. Both offer full mobile trading supports. Traders also have automated trading platform choices including ZuluTrade, which can be integrated into MT4, downloaded as an app or traded over the web. Please remember, while AvaTrade is a responsible broker, losses can still exceed deposits. CFD trading is for experienced traders. This AvaTrade review will cover all of the important details about the broker and discuss its major advantages and disadvantages. AvaTrade was founded in Dublin, Ireland, in 2006 by Emanuel Kronitz and Negev Nosatzki. The firm began operations as forex trading firm Ava FX, but soon branched out into other asset classes. 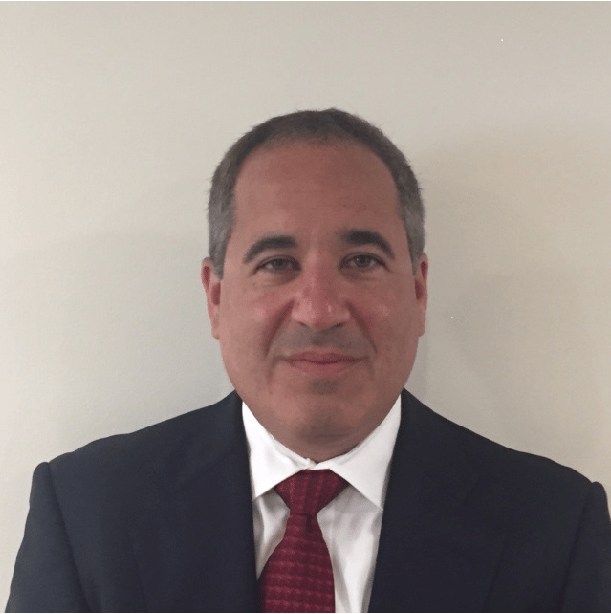 In 2013, the firm recognized that it had become a multi-asset brokerage firm and rebranded itself as AvaTrade. Today the firm serves over 200,000 clients who place over 2 million trades every month. AvaTrade has its administrative headquarters in Dublin, Ireland, and regional offices in Paris, Dublin, Milan, Tokyo and Sydney. The firm also has a presence in Madrid, Mongolia, China, Nigeria, Chile and South Africa. AvaTrade offers customers dedicated 24/5 customer support in 14 languages. Traders can contact the AvaTrade customer service support team by phone, email and live chat. AvaTrade traders can view the website in multiple languages. AvaTrade is regulated by several well-respected international regulatory bodies. However, the firm has been sanctioned by regulators in the past two years for its actions in Belgium, Israel and Canada. The following are the major regulatory bodies that oversee the activities of AvaTrade and its subsidiaries. The Central Bank of Ireland engages in regular correspondence and engagement with firms under its supervision, analysis of documentation submitted to the Central Bank and inspections of member firms. The AvaTrade EU Limited reference no. is C53877. The Australian Securities and Investments Commission (ASIC) regulates the activities of AvaTrade in Australia. ASIC’s oversight of AvaTrade means that client money is held in a trust and completely separate from AvaTrade’s own money. Unlike some other jurisdictions, however, if you are based in Australia, there is no additional compensation scheme in place to cover your deposit. That doesn’t mean it isn’t safe to deposit with AvaTrade if you’re in Australia. Rather, you are offered only the legal protection afforded by the Australian legal system. That being said, money held in trust in Australia is highly regulated and covered by the Corporations Act. The AvaTrade Australian Financial Services License reference number is 406684. Financial Services Agency (FSA) in Japan regulates major banks and brokers, foreign bank branches, regional financial institutions, insurance companies, financial services companies, credit rating agencies, trust companies, financial conglomerates, money lenders, credit guarantee corporations and the general infrastructure of financial markets. Ava Trade Japan K.K. is licensed by the FSA Japan #1662. Financial Services Board (FSB) regulates the non-banking financial services industry, which includes retirement funds, short-term and long-term insurance companies, funeral insurance, individual and collective investment schemes, including unit trusts and stock markets, and financial advisors and brokers. FSB ensures that South African traders receive fair treatment from financial service providers. The agency has departments that oversee all facets of investing including consumer education, credit ratings and financial advisory services. AvaTrade received FSB license No. 45984. AvaTrade offers customers forex and CFD trading in more than 250 financial instruments. AvaTrade divides the products it offers to traders into six categories: forex, indices, shares, ETFs, commodities and cryptocurrencies. AvaTrade provides its traders with access to more than 50 forex pairs, including all the major currency pairs, minors and exotics. Forex traders also have access to options trading on some pairs. AvaTrade offers a live trading account and a demo account. The firm also offers Islamic accounts. Traders can open a live trading account with a minimum deposit of 250 by credit card deposit and 500 by wire transfer. Traders can open accounts denominated in USD, EUR, GPB and AUD. AUD is only available for Australian clients, while GBP is only available for clients from the UK. AvaTrade demo account is the same as a real account, only you trade with virtual money, whereas with a real account you must deposit real money before you can start trading. Both live and demo accounts have live price feeds. Traders can use their demo accounts for 21 days. However, traders who want additional time can email customer@avatrade.com or contact their account manager for an extension. AvaTrade is compensated through the Bid/Ask spread. The broker offers both fixed and variable spreads depending on the specific market being traded. Fixed spreads: These spreads don’t change, regardless of market conditions such as volatility or liquidity. Variable spreads: These spreads may fluctuate throughout the day according to factors such as underlying liquidity or market volatility. AvaTrade informs traders on its website of the minimum variable spreads as well as the average spreads over a recent timeframe. AvaTrade obtains the data for spreads from reputable third-party sources, which obtain the data directly from exchange feeds. Commissions: For certain types of forex, CFDs, options and spread betting trades, customers must pay a commission to open and close positions. These commissions get debited from a customer's account at the same time that AvaTrade opens or closes the relevant position. Deposit and Withdrawal Fees: The broker does not generally charge for deposits and withdrawals. However, AvaTrade may charge for incidental banking-related fees such as wire charges for deposits/withdrawals and returned check fees. Optional Value-Added Services: Customers may incur fees if they want to purchase additional optional value-added services offered by AvaTrade. Rollovers and Overnight Interest Charges: This overnight fee (or credit) is either added to or subtracted from a trader’s account when a position remains open past a certain period of time. Traders can obtain information on overnight funding rates at the General Terms and Conditions section on the AvaTrade website. When you click the green “Create an Account” button on the AvaTtrade website, the broker asks you whether you want to open a real or a demo account. To begin the sign-up process, you simply enter your name, email and phone number. The system then takes you to the next page where you enter your address and date of birth. You are then asked to fill out basic information about your trading experience and trading knowledge. AvaTrade then asks you to select a password, choose a trading platform and select the currency for your account. Traders can make deposits and withdrawals by Visa, Pay.com or wire transfer. The minimum amount required to make a deposit is 250 for PayPal and Visa and 500 for wire transfers. 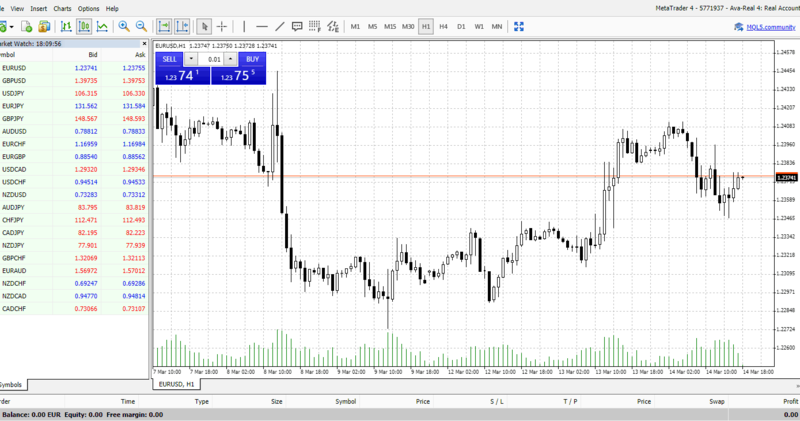 Traders then choose the currency they want for their account – USD, EUR, GBP or AUD. However, AUD is only available for Australian clients, while GBP is only available for clients from the UK. AvaTrade traders are eligible to receive a welcoming bonus after making deposits into their accounts. The bonus is 25% of the initial deposit amount and is capped at 10,000. Each CFD also has specific AvaTrade margin requirements that traders must maintain. Traders should consult the Trading Conditions & Charges section of the AvaTrade website for the specific margin requirements for each instrument. Traders who fall below the AvaTrade margin requirements risk receiving a margin call and having their position closed prematurely. In order to withdraw funds, traders need to fill out a withdrawal form through MyAva. Traders must verify their account to be eligible for withdrawals. For compliance purposes, AvaTrade must transfer your funds back to the original source you used to fund your account. This account needs to be in the same name as the account maintained with AvaTrade. AvaTrade typically processes withdrawals within 1 to 2 business days after they are approved. However, the broker notes that processing and receiving your funds may take up to 10 business days. (* Saturday, Sunday and US Public Holidays are not considered business days). AvaTrade notifies customers via email about any problems regarding withdrawal requests. AvaTrade will not approve withdrawal requests until all requirements are met. AvaTrade notes that once they send the funds, it may take a few extra days to reach the trader’s account depending on their bank/credit card company. AvaTrade offers traders access to several third-party trading platforms including DupliTrade, MQL5, ZuluTrade, and the industry-standard MetaTrader 4 (MT4) web and desktop platform. ZuluTrade and DupliTrade have social features that enable traders to follow successful traders and copy their strategies. 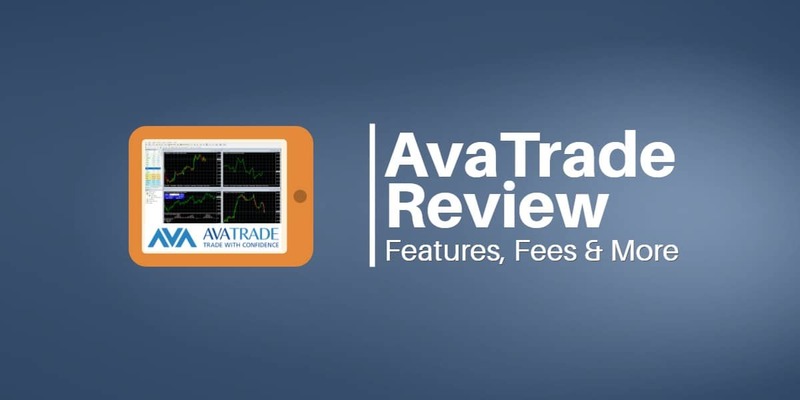 This review examines Ava MetaTrader and its features. Market Watch Panel: This panel contains the live prices and symbols of popular instruments traded on AvaTrade MT4 platform. The instruments are organized by asset class and color coded for easy identification. Chart Window: This large panel in the middle of the screen displays the historical prices, indicators and chart tools used to create price charts. The chart window opens with six charts, and traders can customize and configure each of these charts with their own technical analysis tools. Ticket: The ticket has color-coded buy and sell buttons and boxes for setting up stop-loss and other contingencies. 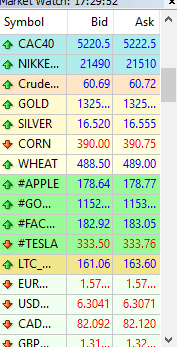 The Market Watch panel displays the most popular symbols traded on the platform. Traders can right-click on the panel and use the “show all” option to get all instruments available to trade on the platform. Right-clicking on a particular symbol and clicking on the chart option adds a new chart for that symbol in the Chart Window. 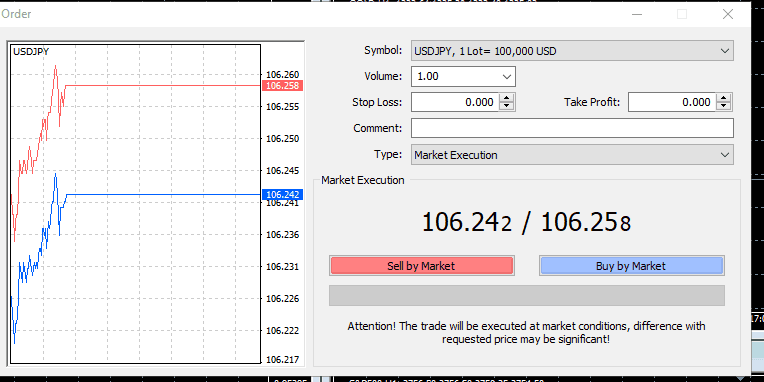 Traders also can left click on a symbol and drag the instrument into the Chart Window to see a chart. On the bottom of the trading platform is a box where traders can track open and orders, alerts, news, mail and other essential features. Overall, the AvaTrade MT4 platform comes across as reliable and easy to use. 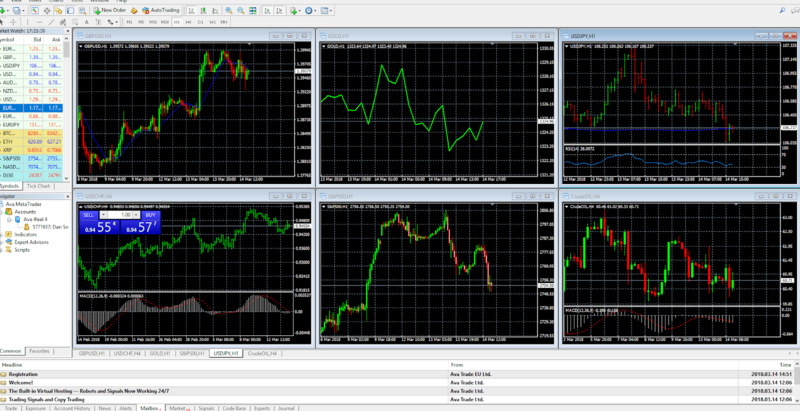 The smooth interface and clean graphics should be welcome by both new and more experienced traders. Traders separately log on to their AvaTrade demo platform for 21 days after they open it. Demo account traders receive 10,000 in virtual funds in their currency. Trading for Beginners: A basic description of the terms and products on the AvaTrade platform. Videos: A library of trading strategies and tools. Sharp Trader: A premium educational website with exclusive content for AvaTrade customers. Sharp Trader offers videos, articles, daily news and trading tools that teach fundamentals and advanced strategies used by professional traders. Economic Indicators: An explanation of different types of economic indicators and how they are used. eBooks: Forex First Steps is an eBook for new traders. Traders can learn forex trading and other trading concepts. Order Types: This section explains different types of orders and how they are used. As AvaTrade is regulated within the EU, sign-up bonuses are unavailable. This is due to the Markets in Financial Instruments Derivative (MiFID) that's been implemented EU-wide to create a transparent market and to protect traders. Therefore, if a broker offers a sign-up bonus, this means they're either unregulated in the EU or aren't regulated at all, which means they could be operating illegally. Nevertheless, AvaTrade can offer new customers some perks after they've made a deposit in their account. To find out what these are, visit the AvaTrade website.